Find Your Representative: Not sure of your congressional district or who your member is? This service will assist you by matching your ZIP code to your congressional district, with links to your member’s website and contact page. Check out the latest action on the Senate Floor: Stream live Senate floor proceedings while a meeting is in progress. House of Representatives Calendar with working days, voting days, conventions and more. Senate Calendar with working days, voting days, conventions and more. 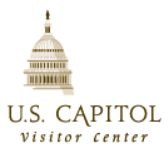 Book a Tour of the Capitol: To tour the historical areas of the Capitol beyond the Capitol Visitor Center, you must participate in a guided tour.